Graco Verb Click Connect travel system has gained popularity among parents due to its locking front-swivel wheel that maintains a perfect balance of the stroller. Additionally, the Graco’s car seat adjustment with the Stroller in one simple step has captured more parents to buy this travel system. Lastly, its 2-in-1 package has made the life easier for those parents who Google all the day to find the best deal for their child’s travel system. 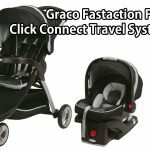 Graco Verb Click Connect Travel System has gained sudden popularity among the new parents because of its extraordinary suspension system. 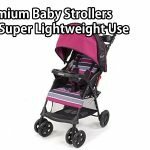 This is the light-weighted travel system in the marketplace that provides smoothest ride for your baby in various terrains. It makes your traveling convenient with its upgraded feature of one-hand folding. Graco has perfectly paired the high quality stroller with an infant car seat at a reasonable price to help parents through their fascinating parenthood journey. Graco’s Snug Ride convertible car seat line has been approved by US FMVSS safety standards. Graco Verb Click Connect Travel system is specifically designed for reducing pressure points on your baby’s body with EP Foam linings, hence giving them a more comfortable ride. It also possesses a multi-position reclining seat for adjusting the comfort level of your baby. Graco Verb Click Connect travel system is designed with some extra features to give a maximum comfort level for parents & their babies. For instance, the stroller comes with an additional storage layer, a parent’s tray & two cup holders, so that weaning your baby becomes easy during travelling. The stylish car seat can be easily moved from rear to forward-facing; hence no strain is caused on your child’s back. Graco travel system has a maximum capacity of bearing the weight of your baby i-e up to 40 lbs. as compared to other products in the marketplace. It also comes in a range of colors to choose from. The Graco stroller also comprises of a canopy lining with a build-in window so you can easily have a look on your child. So, if your child is bulky it is an ideal pick for you! This travel system by Graco is not durable as compared to other high-end products of the market. If you have a fussy or a cranky child, this may not be an ideal choice for you as most of its screws are very delicate and can easily come out if your child keeps on playing with its different parts. So, a much extra caution is needed to extend its durability. There are few issues reported about the lock of front swivel wheel that gets stuck when using the stroller on uneven plains. It may not be perfect for off-road adventures but it may be a jogging pick for you as it runs perfectly on plain tracks without pushing too much. Some parents have faced a lot of difficulty in adjusting harness of the GRACO car seat every time when their baby is inside the car. It can be hectic to adjust in a hurry situation. In addition, some cars are not spacious to adjust this wide car seat in their cars as it occupies lots of space as compared to other car seats available in the market. However, the Graco’s stroller remains a popular option for some parents due to its face-folding feature. Graco Verb Click Connect is suitable for bulky children; weighing up to 50lbs while Graco’s SnugRide Infant Car Seat is ideal for infants weighing up to 32lbs. For many parents, buying a separate car seat and a stroller may be a tedious task. Graco’s travel system comes all together & no extra pieces are required. So, parents who are looking for all in one travel system, Graco Verb Click Connect is surely for them! If you are one of those concerned parents who don’t compromise on your child’s safety or if you are searching for an all-rounder travel system in a reasonable price, Graco travel system is a perfect collaboration of a stroller & a car seat to meet all needs of your child. Its fascinating look & comfort layer will definitely make you child happy in his classy ride.